50 years of Dave Ward. HOUSTON (KTRK) -- From weddings to pregnancies and anniversaries, 2016 was a banner year here at ABC13! Relive some of our family's most exciting moments. In the spring, it seemed like pregnant women outnumbered everybody else! Our own Ilona Carson, Samica Knight and Miya Shay were all pregnant around the same time, leaving our newsroom buzzing with baby fever. Samica welcomed Baby Lee, Ilona welcomed Baby Georgina and Miya brought Baby Lyndon into the world. On Christmas Day, Tracy Clemons welcomed his second son into the world! Preston is happy and healthy, as are his parents and brother. 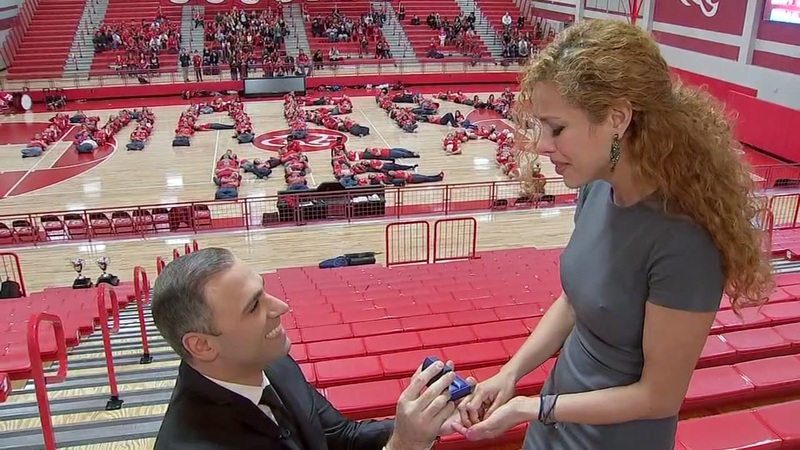 In September, weekend morning anchor Mayra Moreno's longtime boyfriend got down on one knee and popped the question! The best part -- her coworkers were in on the plot, but she had no clue. Later in the year, Foti Kallergis proposed to his girlfriend Diane on the air! Diana tagged along to help Foti with a Friday Flyover shoot, but cameras were rolling as he got down on one knee and asked for her hand in marriage. After a disaster, people like Red Cross volunteer, John Saguto jump right in to lend a hand. When the Napa quake struck just miles from his home in Sonoma, John did what he has trained to do for the past 15 years; serve his community. In April, morning traffic anchor Katherine Whaley tied the knot with fiance Chris. The gorgeous ceremony was well-attended by the Houston news media. Veteran ABC13 News anchor Dave Ward hit a historic milestone when he celebrated his 50th year at KTRK-TV in November. His long tenure at the station was acknowledged in June, when he was recognized by the Guinness Book of World Records by breaking the record as the longest-running local TV news anchor in the world at the same station, in the same market. 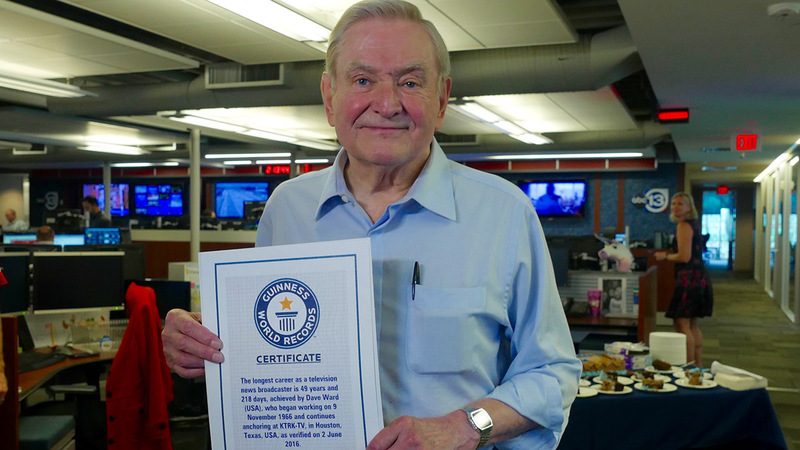 ABC13 anchor Dave Ward was recognized by the Guinness Book of World Records as the longest running local TV news anchor in the world at the same station in the same market. "I love this city," he said. "I love the people in it. It's a big city, but it has a very neighborhood feel to it and there's no place else I'd rather be." We're so honored to have you on our team, Dave! Chief Meteorologist Travis Herzog welcomes Elita Loresca to mornings!